Not too often that you see those any more these days – although they have been pretty popular in my childhood, in the 70s. That was because Quelle, the then-highly popular German mail order company, had bought the rights to the brand. 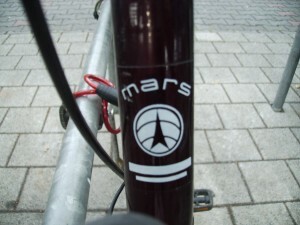 From the company that started out in 1873 as Paul Reissmann – Amerikanische Ofenfabrik Nürnberg, renamed to Mars-Werke and starting to build bicycles as soon after as in 1894. So far, so not so unusual for that time. A lot of companies that had their focus on some sort of steel machines, often with some sort of central moving parts, built bikes at some point in their company history. Miele, Opel, Singer, Adler – they all have a bike history in addition to their household appliances, car, sewing machine and type writer businesses, respectively, at some point in history as well. Most of them survived the bicycle crisis in the mid-50s to late 60s/early 70s, some did not. The latter unfortunately including Mars Werke. Especially since they kept building bicycles, but added – initially extremely successfully – motorized two-wheelers as well. They were even among the pioneers with their first motorized bicycle entering the German market in 1903 – a full century prior to the resurrection of what is called pedelec nowadays. But the century that it took for fully embracing the whole idea and concept of a lightweight and agile, but motorized vehicle was too long for Mars to survive. 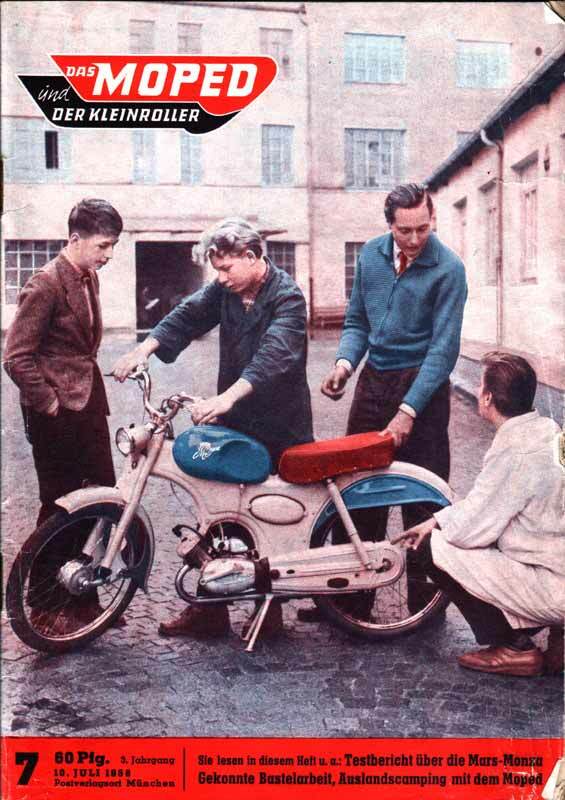 After their highly successful and then-innovative motorized creations such as the Monza Super Sport and the Solo, speed and sports vespas of a completely novel look. Only a few years after, though, cars started to become rapidly affordable for an increasing number of people and mopeds stumbled into an accelerating crisis. And with them: the Mars Werke that ultimately filed for insolvency in 1958. 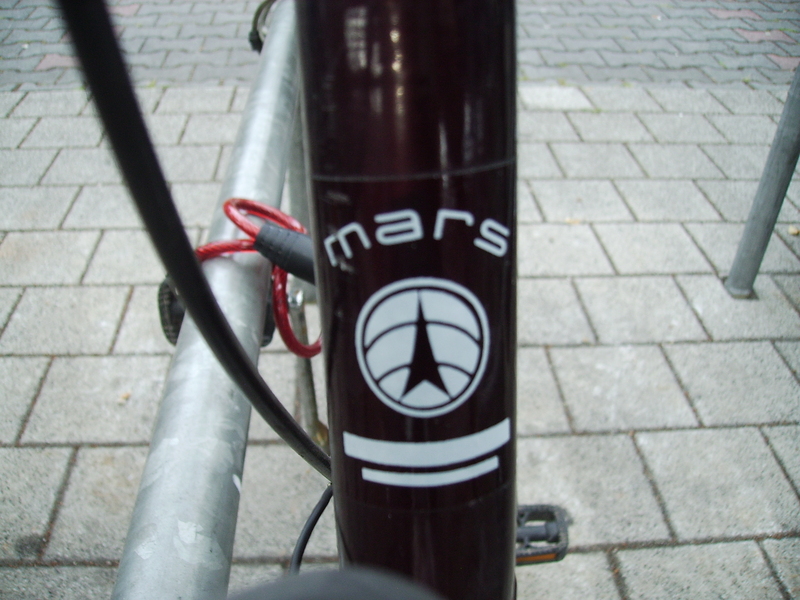 Mars still got some money out of the insolvency, e.g. by selling the rights to the trademark to Quelle. Quelle, in turn, started using it on rather low-cost (but not necessarily cheap in terms of the quality) bikes by Kynast, equipped with many parts „Made in GDR“ (hence the cost efficiency). The Kynast story is another very cool post-WWII bike manufacture story with Otto Kynast originally owning a hardware shop. He apparently had a lot of time and the right tools (and creative ideas!) to tinker around in his shop and during his spare time. 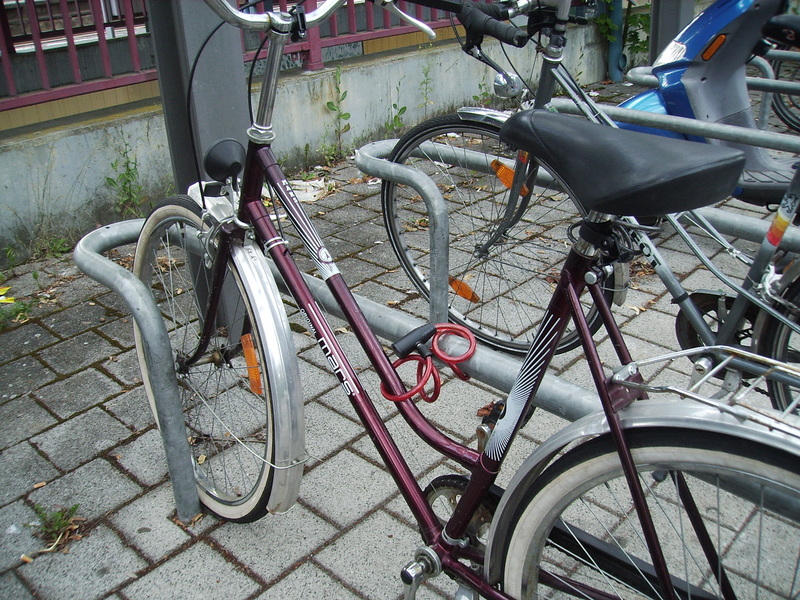 And in 1950 he filed a patent for the first bike pump that would fit into a bike’s frame tubes. This was Kynast’s first step into the bicycle industry – and it took off like a rocket: In 1956, bike number 100,000 already left the manufacturing chain (this chain and the fact that Kynast used distribution channels such as mail order via Quelle and others being the key factors to this overwhelmingly fast on-take of his success). So, it was true and real history, exhaling a bit of German spirit of inventorship, hands-on mentality and, of course, precision engineering that „Schrotti“ was parked to today. It feels like an honor, despite the little stain on that story that the „Mars original“ was not that original, but probably from the 1980s or so. Cool!! – Also, thanks for visiting this blog site. If you like it, I would be pleased to learn that you will come and re-visit in the future!